While the above video is a humorous review of the dangers Americans face when using Catholic hospitals, the main points it makes are dead true. Catholic hospitals can endanger patients’ lives because of the many restrictions placed on their medical care by Catholic dogma. St. Mary’s Hospital and Medical Center, by far the largest and most dominant health care facility in our area, is a Catholic hospital run by the Sisters of Charity of Leavenworth (SCL) Health. Making this situation even more dangerous for Americans, and particularly for women, is that the Catholic church has been taking over U.S. hospitals at a rapid pace over the last 20 years. Between 2001 and 2016, the number of Catholic-owned or affiliated acute care hospitals in the U.S. grew by 22 percent, while at the same time the total number of hospitals in the U.S. decreased, effectively shrinking the number of secular medical options for millions of people. By 2011, ten of the 25 largest hospital systems in the U.S. were Catholic-sponsored. In 2013, the American Civil Liberties Union tried to call attention to the growth of Catholic hospitals and the dangers it poses through its report titled, “Miscarriage of Medicine: The Growth of Catholic Hospitals and the Threat to Reproductive Health Care.” The report also describes how religious hospitals are taking federal money while at the same time putting life-threatening religious restrictions on their patient care. In the above video, Samantha Bee discusses the problems people, and particularly women, face when being admitted to Catholic hospitals. 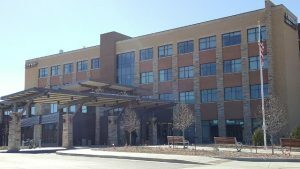 We should be very grateful we have a secular hospital option in Mesa County for medical care: Community Hospital, where the only tenets guiding care are what is factually and medically best for all of their patients. If you are ever in need of emergency transport to an area hospital, you can ask the ambulance driver to take you to Community Hospital, and you should inform your family if these are your wishes in case you cannot speak for yourself. ← What’s Really Going On Inside Mesa County Government? Here’s a Hint: It’s Pretty Bad. I worked for St. Marys when they had a psychiatric unit (3E). St. Marys administration was quite proud to call itself a holistic facility – until about 2003 when they decided the mentally ill and addicts weren’t paying their way. We had an excellent (in my humble opinion) caring, compassionate very professional staff. The administration decided to turn over psychiatric care to then Colorado West Mental Health. CWMH at that time had no experience whatsoever with inpatient psychiatric care. They had to learn as they went. The state survey was punishing. The seasoned staff that went over to CWMH from SMH were swiftly pushed out, laid off, fired certainly because we were paid well. There went years of experience traded in for Hilltop/Walmart wages to “take care” of our mental health problems. For awhile we didn’t even have a psychiatrist. Fast forward to 2016 St. Marys wants to give CWMH 2.5 million dollars. Why? St. Mary’s doesn’t want these very expensive patients in their ER or their general beds. 12 years later SMH finally kicks in some cash. Now, it’s going to be the Life Center. Don’t let SMH fool you. They really do not care about you, the patient. It’s the money honey. Anne: I agree in principle with your assertions, but speaking as a former public safety provider in Mesa County, your last paragraph needs to be clarified and expanded upon. 1. EMS providers are not “ambulance drivers”. That term is perceived as derogatory. They are trained First Responders, EMTs, and Paramedics who function under the supervision of a Emergency Medicine Physician who serves as the system’s Medical Director. This physician provides direction to EMS responders along with other physicians in the area’s emergency departments, through the use of approved protocols and direct communication with the responders in the field. 2. While in most circumstances EMS crews will respect a patient’s wishes as to which hospital they wish to be taken to, situations in which specialty care is required may often result in the patient being taken to the closest facility capable of immediately addressing those care needs. In some cases this means that St. Mary’s is the only viable option in Mesa County for severe trauma victims, or heart patients in need of an immediate cardiac catheterization, for example. Additional information on Mesa County’s EMS system is available at https://ems.mesacounty.us. St.Mary’s has determined that the use of RNs supported by LPN staff, is not necessary for care. They are using CNAs instead. I had one RN friend left to be responsible for over 40 patients, with the help of CNAs only. Why should that bother you? Your costs per day are not decreased in a hospital, just because you are “cared” for by a non-professional. LPNs spend a least a year learning the basics of general Nursing, and are well worth the money to do general care in hospitals (instead of CNAs), to pass oral meds, give injections and report to their RN any noticed Nursing-impacted changes in the patient(s). The Veterans Hospital in Grand Junction once used ONLY LPNs and RNs on all floors. Outcomes in acute settings generally are much better under RN/LPN teams. Registered Nurses are professional Nursing care givers with the education and experiences to take in a holistic picture of each patient and develop their immediate, short term and long term care needs. Doctors depend heavily of RNs to update and bring attention to care issues that can alter a patient’s ability to achieve their highest level of health before discharge. Patients in acute care settings pay top dollar for the best care. If you are in the hospital, and the only caregiver you see is a CNA or even an LPN, you are not being cared for at an acceptable level of care. Nursing, when all care is administered in a supportable team manner, between professionals on a shift and between shifts as well, is a setting that supports patients as the priority. Catholic hospitals are known for ludicrous and interfering rules. When I worked at Catholic hospitals…I ignored them if they got in my way of caring for my patients. I hope all RNs do that.